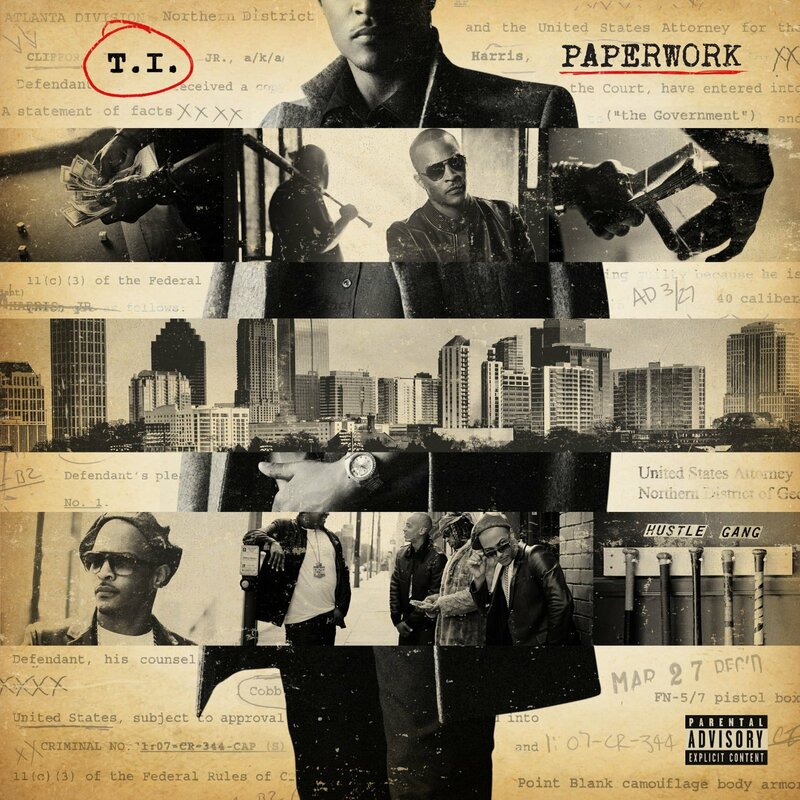 Album Review: Paperwork | T.I. “It’s the King b*tch” those are the word one typically expects to hear from OG southern rapper and self declared King Of The South, T.I. . He is one of those rappers who has managed to stay relevant and keep his game at an elevated level while also holding the thrown of King essentially unchallenged. T.I. has had some slips, most notably No Mercy, but it was the late entry Trouble Man: Heavy is the head in 2012 that showed TIP hadn’t left, he just took a short break. Looking to follow the success of his previous effort T.I. is dropping Paperwork in the 4th quarter of 2014 but also leaving a free one time stream up via Itunes Radio. However much like No Mercy, Paperwork is burdened by an over-saturation of guest verses and similarly to Trouble Man it is stretched thin trying to cover various styles in rap. With a blazing start, mediocre middle and solid closing tracks the saving grace of the album is T.I. himself so rarely lets down with weak verses. The opening track ‘King’ is a superb start for Paperwork. T.I. starts of the introduction with a slow speech that ushers listeners in and gives them a small picture of who T.I. is, he’s The King. The opener wastes no time to kick into high gear as T.I. opens with a blistering flow that only lets up when the song ends. ‘G Sh*t’ the next song is one of the highs of the album, the funky Pharrell production is reminiscent of his Neptunes production in Clipse’s album Lord Willin. T.I. delivers two solid verses bringing into question why there is lack of true gangster rap in hip-hop today. The Jeezy feature on this track steals the show with one of the best bars on the album: “When Jay was beefing with Nas I was selling cocaine, when Game was beefing with 50 I was doing the same thing”. The next track About the Money was the first single that dropped back in June of this year. The opening Young Thug’s verse coupled with the infectious hook, London On Da Track’s laid back beat and a great 2nd verse from T.I. made this one of the summer’s best songs and another highlight on the album. These first three tracks represent the best mutli-track run throughout the album, sadly the album begins to fall into mediocrity following About The Money. 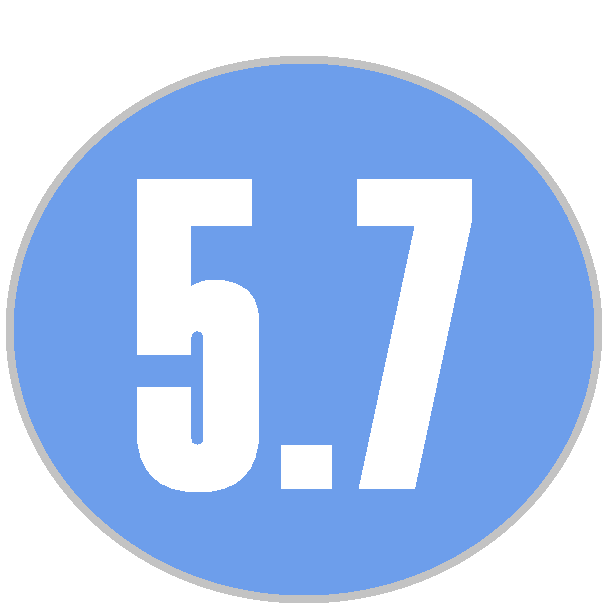 One of the other tracks that dropped as a single for the album ‘New National Anthem’ begins the downward slide in the album. Whether it’s the cookie-cutter pop hook from the usually reliable songstress Skylar Gray or the beat reminiscent of Christian youth retreat the song takes away from two solid T.I. verses and misses while trying to be an impactful song. The following track ‘Oh Yeah’ is a solid song but could have been great with the motivating Pharrell and the cautionary verses from T.I. about gang violence, but the constant “oh yeah” in the background of the track distracts. Following are a series of forgettable “skip” songs that are brought down by sub-par guest features. ‘Jet Fuel’ which features easily the most creative beat on the entire album comes out of nowhere with a crazy set of verses. The circus-fun house opening follows it’s sinister tone as blaring horns come in to support and livid T.I. hook. The King is in fine form as he’s ferociously spitting about money and how various women react to the amount he has. Lil Boosie (Boosie badazz) comes in for an alley-oop guest verse, matching T.I.’s verse bar for bar and delivering a great quotable: “high in the p*ssy same way that I was high in court”. Sadly, the following title track ‘Paperwork’ which was the last single released is a complete let down following the intense energy of Jet Fuel. The Pharrell hook is painful enough, but hearing him moan “oh” in the background of this track is just more reason to skip to ‘About My Issues’. The aforementioned track is the best track on the album. The Victoria Monet hook is absolutely beautiful underneath the smooth bass guitar beat and trumpets. T.I. delivers solid verse after verse and Nipsey Hussle comes on with the best guest verse on the album that will have you peeping all of Nipsey’s works. Following the high of ‘About My Issues’ are a series of lows, particularly On Doe, On Phil which features the album’s most lackluster production and boring verse from Trae The Truth who loves to remind us about ABN. The album officially closes with a whimper as ‘Let Your Heart Go’ plays out more like a Biggest Loser finale song than a southern OG’s album. The deluxe edition brings in three new tracks which serve as a fresh reminder that this is T.I. and not an album for guest verses to get their shine on. It’s these three tracks where we really get a throwback feel to those King days where T.I. was a household name and had boomin radio hits without massive pop hooks. ‘Sugar Cane’ has a great piano sample and a SUPERB outro. ‘I Don’t Know’ is a slow beat that one might expect Nas to spit on, but don’t worry T.I. delivers Trap Muzik level verses that paint a series of pictures displaying T.I. as a father willing to do whatever it takes for his family. T.I. has never been quiet about defending his loved ones and this song serves as a superb narrative of what he will do for them. It’s only fitting that a song with the hook “you can tell how I walk I’m a boss” would have a Rick Ross verse. ‘You Can Tell How I Walk’ is a solid closer to the deluxe edition that is generally fueled by a bass heavy backing. T.I. comes on with a silky smooth flow but goes in with moderate aggression. Rick Ross puts in a solid verse but is generally drowned out by T.I. Overall this album is a case of some very strong highs surrounded by a lot of mediocre songs. The guest features are plentiful but less then half of them actually play to the strengths of the album. T.I. is consistent throughout with few slip-ups, but it seems like the Hustle Gang CEO’s biggest problem is finding the right time to use features and the right time to go solo on a song. Tags: Lil Boosie, rick ross, Skylar gray, t.i.